Summit County’s new snow was a welcome sight for the snow enthusiasts, who switched up their weekend plans to take advantage of the extended season at Copper Mountain, Breckenridge and Vail ski resorts that started on Friday and continues through 4 p.m. today. Skiers and boarders came from all over the state – and country – to pack in as much winter recreation as they could. For many, the extended ski weekend served as an excuse to forget about their responsibilities for the day and have some fun instead. Max and Jane Grady came all the way from Iowa to ski at Copper Mountain Resort. They said they made the trip especially for the spectacular spring snow conditions in Summit County. Aaron Seeman traveled from Centennial when he heard that Copper was going to be open this weekend. He said if he weren’t at the ski area, he would have been working on his house. 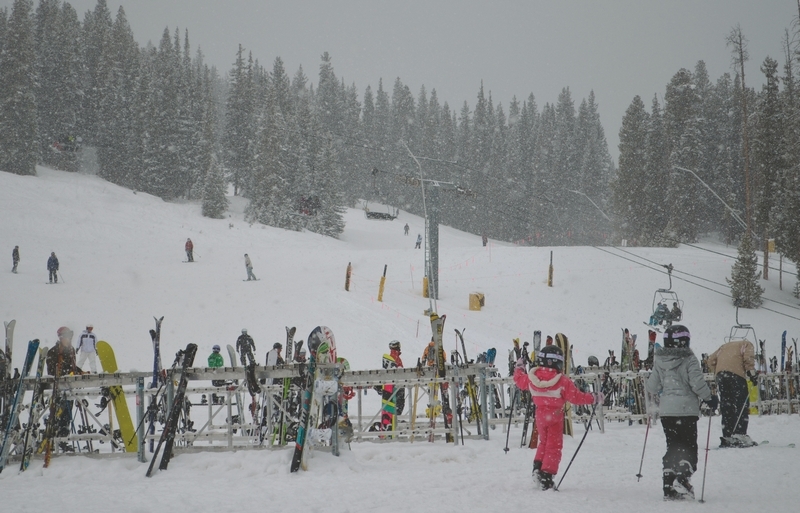 John Edmonds and his 9-year-old daughter Sidney came out from Denver on Saturday to ski. The Edmonds family had such a good time on Friday they decided to stick around an extra day. Guests have given employees positive feedback for their decision to re-open for the weekend. Employees played a big role in the resort’s ability to reopen for the weekend. Plus, she said, the staff can take advantage of the opportunity sneak up the mountain in between shifts. Breckenridge opened up about half of its acreage with the Peak 8 package this weekend, said public relations manager Kristen Petitt Stewart. “We’ve been really pleased with the response and watching the reaction of guests as they get enjoy a couple more powder days before the end of the season,” she said.